"Cleopatra was a Queen of ancient Egypt and is legendary as the most beautiful woman in the world at that time. She was famous for her youthful skin and looks which stayed radiant and healthy even as her age progressed. Cleopatra thought so highly of skin care products from the sea, that she went to great expense to have cosmetic factories built on the shores of the sea. Their remains can still be seen today at Ein Bokek and Ein Gedi. Since we started Cleopatra's Choice by selling primarily Dead Sea products and Dead Sea salt, and we believe that Cleopatra was no fool when it came to beauty, youthful looks and healthy skin, we decided to name our website Cleopatra's Choice. Our belief is that you too deserve to treat your skin like royalty. Today Cleopatra's Choice represents the finest choices of the most unique and effective skin care secrets found around the world. We travel the planet to find these products for you, and bring them to your door along with the story of what they are about." * FAST SHIPPING and Delivery! * Only the HIGHEST quality skin care products! * We RELY on our Repeat Customers - so YOUR SATISFACTION is our Number 1 Priority! I had the wonderful chance to work with this company. I have to say that I am completely in LOVE! I had the chance to review the Adovia Purifying Dead Sea Mud Mask. If you’re looking for a regular treatment for acne breakouts or an emergency treatment for problem areas, try Adovia Purifying Dead Sea Mud Mask. Made from a formula comprised of mud extracted from the Dead Sea, Vitamin C and Aloe Vera, the mask works to extract oil and other debris from the skin – leaving behind glowing, healthy skin. As the mask dries, it gently pulls out toxins and impurities that can contribute to clog pores that can make the skin appear aged. Adovia Purifying Dead Sea Mud Mask is a great solution for treating and preventing acne. The product can work as an emergency spot-treatment for acne, pimples and blemishes. The product leaves the skin with a noticeable healthy glow. Dead Sea mud infuses the skin with minerals while firming and improving skin elasticity. Adovia Purifying Dead Sea Mud Mask is a “MUST-HAVE” product for anyone who suffers from oily or acne-prone skin. Adovia Purifying Dead Sea Mud Mask is a natural and effective facial mask formulated with Dead Sea Black Mud, Bee’s wax and a host of other naturally moisturizing ingredients such as Jojoba, Evening Primrose and Olive oils. Prior to using Adovia Purifying Dead Sea Mud Mask, make sure to clean your skin thoroughly before applying the product. For best results, wash your face with Adovia Mud Soap. For an added bonus, after washing your face, follow with a gentle exfoliating product. 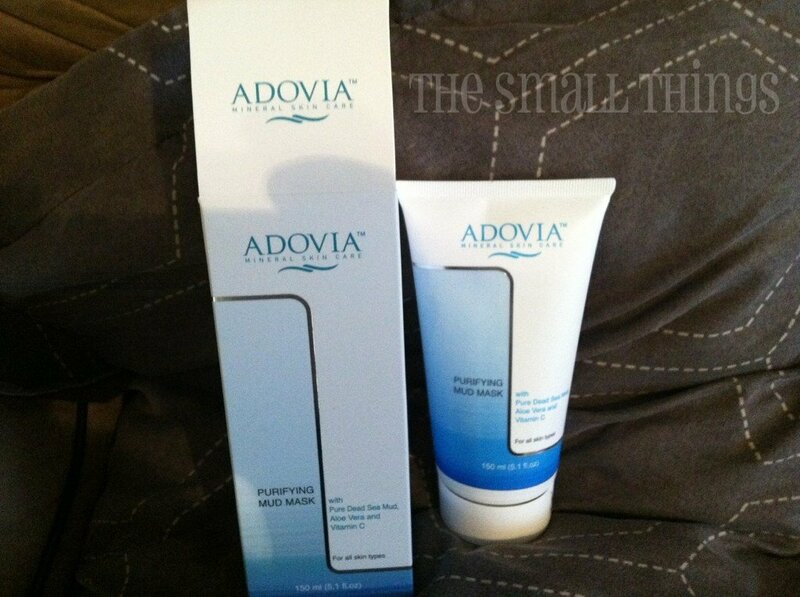 We recommend trying Adovia Exfoliating Facial Salts for Acne. To maximize the effectiveness of the product, conduct the facial after a long steamy shower. After a hot shower, the pores are open and more receptive to nutrients. If you don’t have time for a shower, turn your bathroom into a sauna instead. Turn on the shower to create steam and sit in the room for 15 to 20 minutes to allow the steam to penetrate your skin and open the pores. For quick steam treatment, boil or microwave a few cups of water and pour into a large oven-safe bowl or dish. Then hold your face over the bowl so that the steam can open your pores. For best results, place a large towel over your head and the bowl to prevent the steam from dissipating into the air. Be careful to avoid burning yourself with the hot liquid. To make this mini-sauna even more luxurious, try sprinkling a few drops of essential oil in the water for a little aromatherapy. If you don’t have any essential oils at home, add a few drops of vanilla extract, or, drop in a few slices of a lemon or orange. Step 1: Clean your face of all excess oil and bacteria and pat dry. Step 2: Apply a thick layer of the Adovia Purifying Dead Sea Mud by smoothing the product onto the face. Make sure to cover the entire face and neck. Also, pay close attention to problem areas like the T-zone (forehead, chin and cheeks), which produce the most oil. Leave the mask on your face for approximately 20 to 30 minutes until the mask is dry. Step 3: Rinse off the mask with warm water and a washcloth. Be careful to remove the mask gently so as to avoid irritating the skin. Once the mask is fully removed, splash your face with cool water to close the pores. Re-apply the mask once a week or whenever your skin feels like it needs a beautifying boost. Step 4: Follow up the mask with a lightweight moisturizer to leave you skin supple and soft. We recommend using Adovia Day Moisturizing Cream. Most acne is caused when the pores become clogged with dirt, bacteria and debris. Another major cause of acne are over active sebaceous glands (the glands in the skin that produce oil). Sometimes soaps cannot penetrate the skin to clean dirt and debris lodged deep within the pores. To solve this problem, sometimes you may need to augment your normal skin care routine with a weekly mud-based mask facial. Mud masks extract deep seeded debris, stubborn oil and dirt that your daily cleanser simply cannot reach. After applying the Adovia Purifying Dead Sea Mud Mask, be sure to complete the treatment by nourishing your skin with moisture. Add moisture with a lightweight facial moisturizer or lotion. 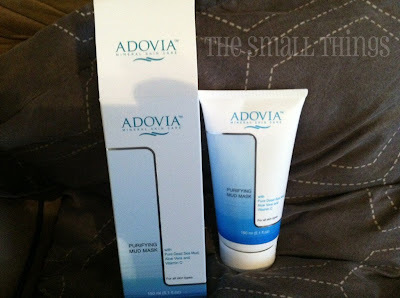 We recommend using Adovia Day Moisturizing Cream. If you engage in a weekly mud mask, not only will you help to naturally purify your skin, but you can also prevent your face from aging prematurely! Overall, I am VERY satisfied with this product. It leaves my face soooo soft and smooth. I have to say I completely recommend it to anyone and everyone! Males can use it too!!! It is so easy to put on and makes me feel great to pamper myself. You can BUY this mask for $27.95, Feel free to follow Cleopatra's Choice on Facebook and Twitter as well. Don't forget to check out other products that they offer! I love how the mask penetrates and unclogs pores. I Would love to try it. My skin is breaking out so bad in this pregnancy. The Cleopatra dead sea mask is a great product to try because I can get the dead skin off and it can help clear out my pores! Plus the product says it will leave my skin soft! Love that it unclogs your pores. I love that glow you get after a mask. I've always struggled with acne, so I'd love to try this. Masks are so relaxing. This sounds like the perfect thing for me.. I'm a complete sucker for facial masks; I can't get enough of them! That and sea minerals, they're like my weaknesses! I love your mask selfie by the way! You're too adorable!